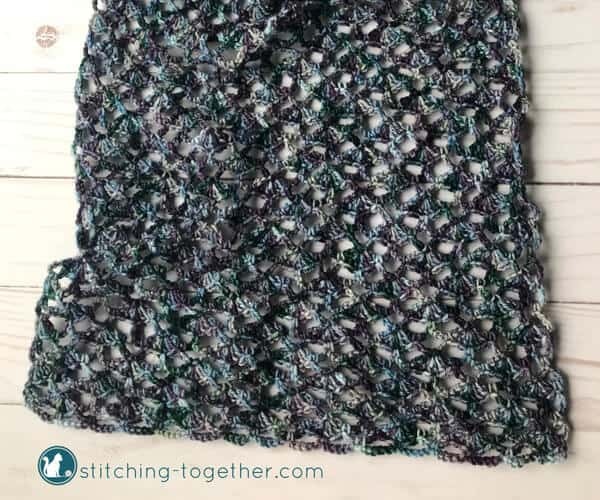 This crochet lacy scarf pattern is surprisingly simple. Lacy patterns can tend to look intimidating until you realize those lacy bits are made mostly of chains! 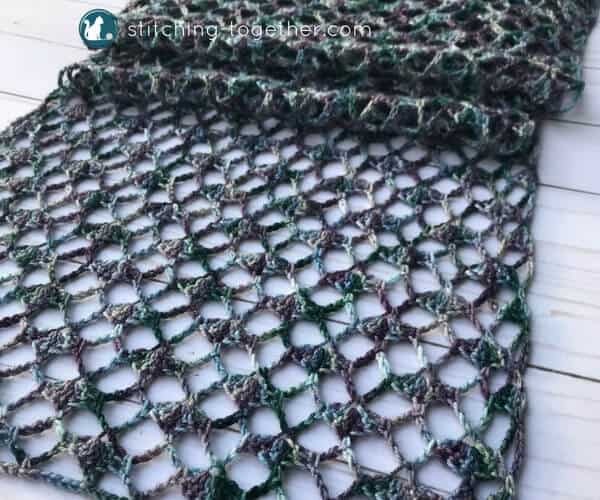 The repeating shell stitch is made of five double crochets in the same stitch. Easy. Fancy yarns are usually out of my price range, but seeing as it was my birthday, I splurged on myself a bit! When it came time to plan for Mother’s Day this year, it seemed like a perfect idea to use the yarn I bought with her to make something for her. Amazon carries this hook size in this amazing brand of hooks. Check out the Clover Amour crochet hook review to see why you need these hooks! The top of each shell is the 3rd dc of the 5-dc shell. If you’d like to adjust the size, the starting chain should be a multiple of 12 + 8. Repeat rows 2-5 for a total of 95 rows. Weave in ends and block if desired. If you decide not to block the scarf, it will still be lovely but significantly smaller. 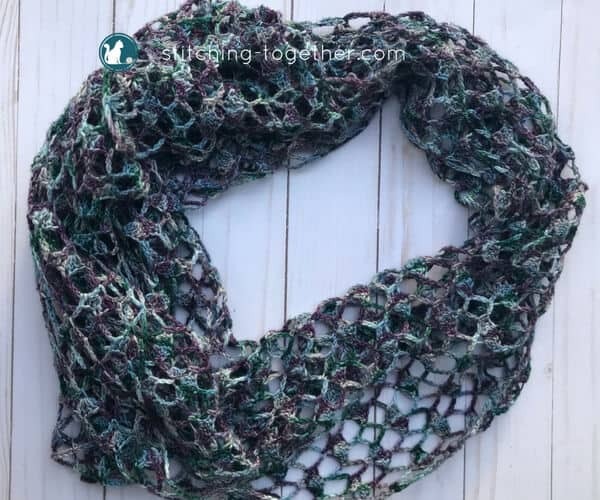 Are you going to use the crochet lacy scarf pattern to make one for yourself or for a gift? Maybe both? 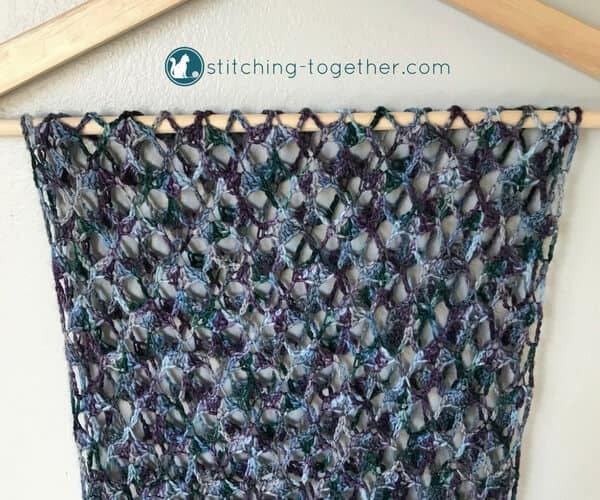 I’d love it if you’d use #stitchingtog on social so I can see your finished projects! 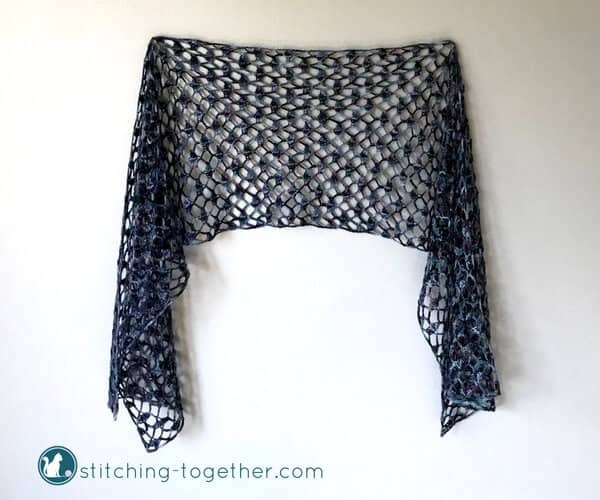 If I wanted to make this wider for a shawl, would you recommend doubling the begging chain or is the patter built in multiples? You’ll want to keep the starting chain a multiple of 12+8. 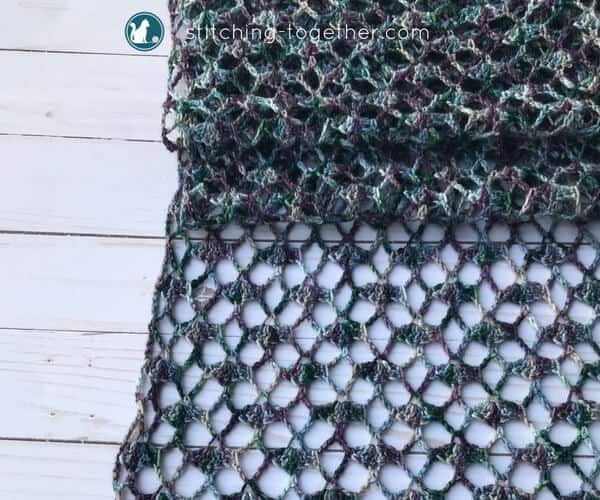 As I follow this pattern I find that I keep ending up with the shells on top of each other from row to row as opposed to the staggering I see in your finished product. I’m not ending up with any extra chains or a shortage of chains. Is there a step I’m missing or misreading? Are you starting row 4 with 3 dcs? That should offset the row of shells from the previous row. I’m not sure what else it could be. mine is doing the same….instruction say ch 3, 3 dc in sc….is that not right? Are you doing the dcs in the very first sc? I love this pattern,will increase the width slightly to make a shawl for my niece for Christmas. It is just the style I as looking for. Thank you. ? Yarn Harbor is one of the first places I go to when I get to Duluth. I come across from Superior. Oh awesome! You are close then! 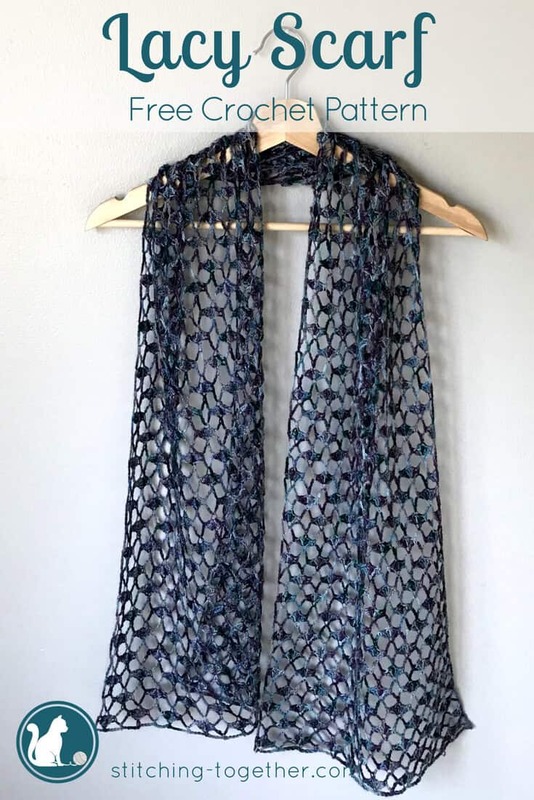 I love this scarf pattern…am so happy you like the North Shore. I live in a small town, Marathon, ON…about 3 1/2 hours east of Thunder Bay. Would love for you to send me your downloadable crochet planner but do not own a printer…but love visiting your site…. Thanks for visiting Judie! Often you can use an office supply store to do your printing!